The Second Regiment was reformed in 1975 and took part in all major Bicentennial events. As a result of our service, the 2nd Regiment was named "The Official Bicentennial Regiment of South Carolina" by the State Assembly. Since then, the regiment has remained active in reenactments and living history events. Under the leadership of experienced and professional officers such as William Moultrie and Francis Marion, the 2nd Regiment was recognized as one of the crack American units in the south. We in the re-created 2nd Regiment are ever mindful of the proud legacy passed down to us from these men, and constantly strive to maintain and improve our impression of the original unit. Our portrayal of the original 2nd Regiment requires us to wear many hats. The Regiment was a Continental or "regular" unit, full-time soldiers held to high standards of discipline and training. As such, we are proficient in Von Steuben's drill and manual of arms, as practiced in the Southern Department circa 1779. The 2nd Regiment also frequently operated as light infantry; to that end, we practice two light infantry drills: a "Continental" light infantry, as suggested by records and accounts of the main army under General Washington, and our own "2nd South" light infantry drill, more suited to independent or backwoods operations. The original unit was also trained in artillery drill. 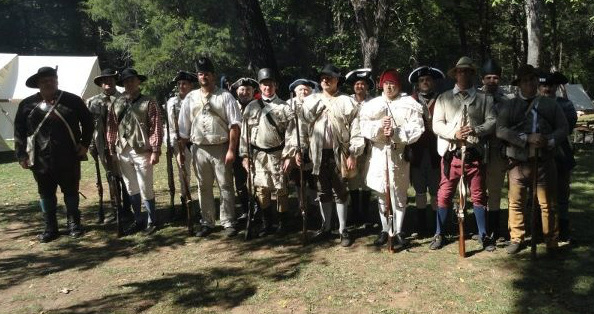 At several events per year, the Regiment portrays Patriot militia. 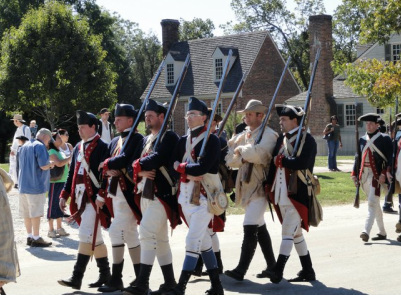 We wear civilian clothes and gear generally representative of small town or country citizens, typical of the men who answered the call of Francis Marion, "The Swamp Fox", after the fall of Charleston in 1780.